Israel has expanded the permitted fishing zone in the besieged Gaza Strip as part of a ceasefire agreement with Hamas, the enclave-regulating group. The Egyptian brokerage business involves extending the fishing border along the Mediterranean coast from approx. 11 km to 28 km for the first time this year with the aim of increasing Gaza's economy, which is heavily dependent on fishing. Extensions occasionally occur and usually last for only three months at a time. 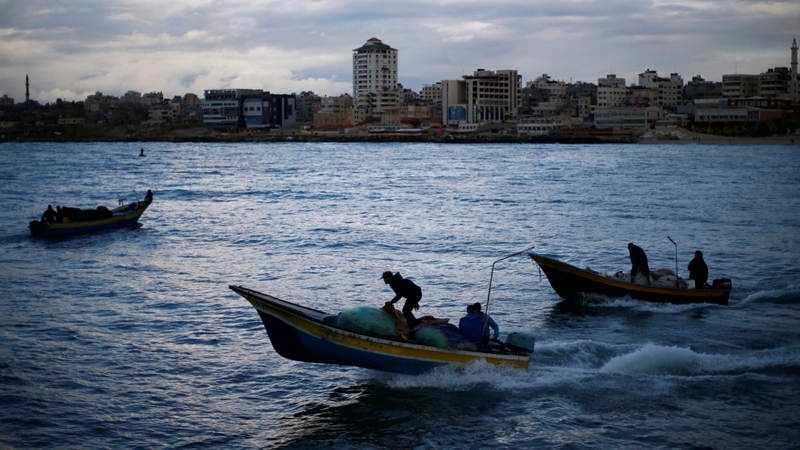 When Israel imposed a land, air and naval block on Gaza in 2007 after Hamas election victory, Gaza's fishing sector has been hit and exports have fallen. 0 years is 22km, and at times the border was reduced to another 1.85km, Nizar Ayash, head of Gaza's fishing association, told Al Jazeera earlier. During the Oslo Agreements, signed in 1993, Israel is obliged to allow fishing up to 37 km, but it has s been never implemented. Overfishing in a small area over the years has reduced the fish population and exhausted fish farming. Al Jazeera's Mohammed Jamjoom, reporting from Gaza, said that despite the ease of restrictions, Monday's weather forecast forced many fishermen to quickly return to shore. "It's cloudy and it has rained heavily here in Gaza. The people sitting here say they have to go back into the water," Jamjoom said. "This is one of the few viable industries here, this is one of the few ways people in Gaza can make money," he said. There are approx. 4,000 registered fishermen in the Gaza Strip, operating around 1,000 boats. Limited access to raw materials has left most both lacking the necessary renovations needed to function fully. The profession has been considered dangerous by rights organizations because of Israel's harassment of fishermen at sea. Those who tried to sail into the water on Monday morning say they hope it means they will continue to do so, said Jamjoom, but at the same time they say they still need "more equipment "to their boats. On Sunday, Israeli authorities also reopened two border crossings one day after tens of thousands of Palestinians demonstrated along the fortified fence with Israel to mark the first anniversary of the protest's great march. Four Palestinians were killed by Israeli firearms and at least 207 others were injured on Saturday during the protests, Gaza's health ministry said. Karam Abu Salem's commercial crossing and the Erez crossing with Gaza were reopened six days later they were shut down in the midst of an exchange of heavy fire between Israel and Hamas. Israel regularly seals the two crossings that facilitate Palestinian movement with difficult to obtain Israeli permits as well as goods and services to Gaza nearly two million inhabitants. Since March 30, 2018, Palestinians in the Hamas Round have demanded the right to return to countries from which their families were expelled during Israel's founding in 1948. Protesters in the weekly rallies also call for an end to the blockade.